Eric stared his journey in Brazilian Jiu-jitsu in 2005 and currently holds the rank of Black Belt in Brazilian Jiu-jitsu. Eric received his blue belt (2008) and purple belt (2011) from the late Dean Hersche, the only Canadian-born Brazilian Jiu Jitsu Black Belt under Saulo and Alexandre (Xande) Ribeiro. 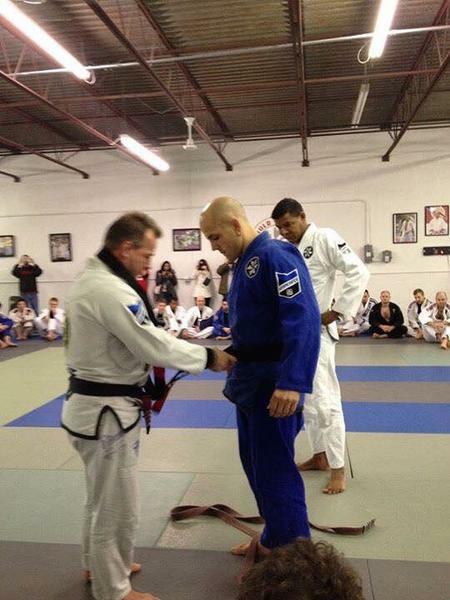 In December of 2012, Eric was promoted to Brown Belt by Saulo Ribeiro. On November 22nd, 2014, Eric was awarded his black belt by Chris Blanke. Eric has had the opportunity to train with such Brazilian Jiu Jitsu legends as Royler Gracie, Saulo Ribeiro and Xande Ribeiro. Eric Marentette is committed to the sport of Brazilian Jiu-Jitsu and continues his training with the Ribeiro Jiu-Jitsu Association (RJJA), under the instruction and leadership of fellow associate school instructors Chris Blanke, Danny Agemy and John Walus. With the support of these instructors we can assure you that you will receive world class technique and martial arts experience. 2008 - Michigan Jiu Jitsu Challenge - White Belt - Gold Medalist. 2009 - NAGA (Columbus , OH) - Blue Belt - Silver Medalist. 2009 - Toronto Jiu Jitsu Classic - Blue Belt - Bronze Medalist. 2009 - RJJA Annual Tournament - Blue Belt - Bronze Medalist. 2009 - Joslin’s Canadian Open - Blue Belt - Silver Medalist. 2011 - RJJA Midwest In-House (Detroit) - Purple Belt - Silver Medalist. 2012 - Toledo Open - Purple Belt - Bronze (weight) and Silver (open). 2012 - In-House RJJA (Toledo) - Purple Belt - Silver Medalist. 2012 - Grappler's Quest (Toronto) - Purple Belt - Gold Medalist. 2012 - Detroit Open - Purple Belt - Gold Medalist (weight and absolute). 2013 - In-House RJJA (Toledo) - Brown Belt - Silver Medalist. Mark started training Brazilian Jiu Jitsu in January of 2008. He also has training experience in Sport Jiu Jitsu (1998-2000) and Karate (2005-2007). In October of 2009, Mark received his blue belt under the watchful eye of the late Dean Hersche. 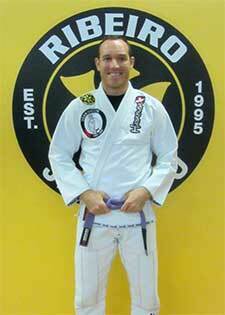 On July 5th, 2013, Mark was promoted to purple belt by Eric Marentette with Chris Blanke present. Most recently, Eric awarded Mark his brown belt on January 17th, 2017. Mark has successfully competed in several Jiu-Jitsu tournaments across both Canada and the United States. Over the years, he has had the opportunity to train with Brazilian Jiu Jitsu greats such as Steve Maxwell, Xande Ribeiro, Saulo Ribeiro, and Royler Gracie. Mark teaches the Adult Fundamental class every Monday at Tecumseh Jiu Jitsu. 2009 – Windsor Shogun IMMA Tournament – Gold Medalist (middle weight & absolute). 2009 – Bravado Open - White Belt - Silver Medalist (middle weight). 2009 – RJJA Annual Tournament – White Belt - Bronze Medalist (absolute). 2009 – Joslin’s Canadian Open - Blue Belt – Bronze Medalist (4th place middle weight). 2012 – Michigan Open - Blue Belt – Silver Medalist (middle weight). 2013 – Toledo Open – Gold / Silver Medalist (middle/medium heavy weight & absolute).